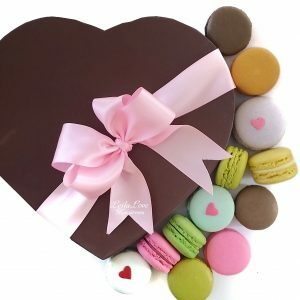 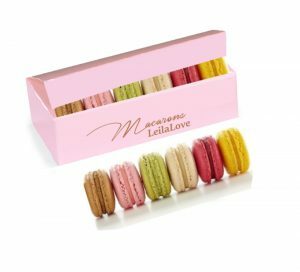 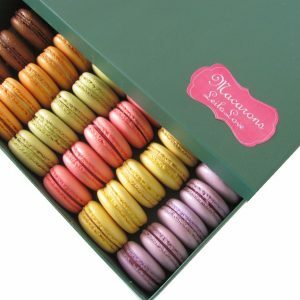 Box includes 6 Macarons with 6 famous flavors. 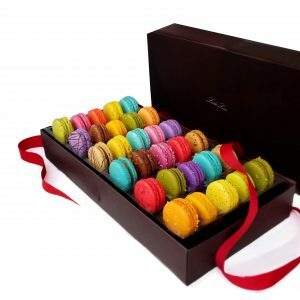 An elegant and tasty little box, perfect for any occasion! Handcrafted French Macarons, individually packaged to preserve freshness, baked to order in small batches. 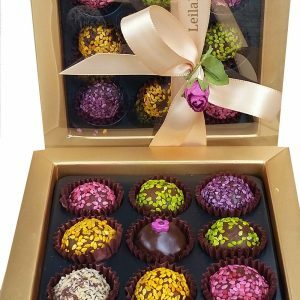 Filled with highest quality chocolate truffles, handcrafted jams or seasonal fruit fillings.